NEW YORK (CNNMoney) -- Patent reform cleared another major hurdle on Thursday, when the House of Representatives voted overwhelmingly to approve a bill that would fundamentally change the way the government treats intellectual property. The America Invents Act passed with a vote of 304-117, after a similar bill was approved 95-5 in the Senate in March. At the core of both bills is a transition of the U.S. patent law from a "first to invent" to a "first to file" system. That would give the patent to the first applicant, rather than the first inventor. It's the standard most of the rest of the world uses, since it prevents inventors from coming out of the woodwork and and laying claim to a patent. The bills also have provisions that attempt to keep patent battles out of the courts, and they allow the U.S. Patent and Trade Office to set and potentially keep its own fees. Currently, Congress sets and collects the fees, and allocates a set amount of funding to the office -- which says it is woefully under-funded. 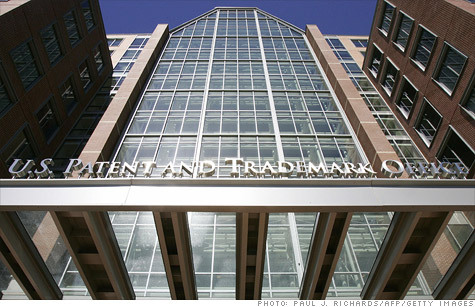 President Obama has pledged that he would sign a patent reform bill once it reaches his desk. When passed, the legislation would offer the first significant change to the U.S. patent system since 1952. Before that can happen, however, the House and Senate need to conference together to iron out differences between the bills. Then each chamber must vote on the single, revised bill. Though the bills are extremely similar, the one major difference is how the Patent Office gets access to the fees it collects. The Senate bill allows the Patent Office to keep all of the fees. The House bill, however, would appropriate an amount of money to the Patent Office. Any fees that it collects in excess of that amount would be placed into escrow. The Patent Office would then need to appeal to Congress to release those funds, allowing Congress to maintain a certain level of oversight. There is no timetable on when the conference between the two chambers will take place. With an important -- and extremely contentious -- debt ceiling negotiation currently taking place in Congress, the meeting on patent reform will likely be delayed. Still, key supporters were encouraged. "The effort to reform our nation's patent laws began a decade ago, and House passage ... brings patent reform a significant step closer to becoming law," David Kappos, director of the Patent Office, said in a written statement. "This bi-partisan legislation will transform our patent system, enhance our nation's competitiveness and promote economic growth and job creation." Patrick Leahy, the Democratic chairman of the Senate Judiciary Committee, called the legislation "commonsense." He co-sponsored the bill with Republican chairman of the House Judiciary Committee Lamar Smith. "Just as the Senate did when it passed the America Invents Act in a significant 95-5 vote, we should come together and approve this bill once again," he said. "America is the global leader in invention and innovation. If we are to maintain that position, we must have a system that competes in the global marketplace." The bill is not without its opponents. Small business advocates argue the bill would harm independent inventors. They say it would force inventors to race to the patent office to beat mega corporations -- which have significantly more legal and R&D muscle -- to the punch. Currently, inventors are shielded by the first to invent rule, which lets them disclose their inventions to potential investors without fearing the consequences if one of them spills the beans.